Each of us has different needs for our hair so it can be difficult to offer advice on which natural hair products to use. When I first became a natural curly I have to admit, I must have spent a fortune on black hair products, trying to find the one magical solution that would keep my hair moist and provide it with the nutrients it needs to stay healthy and looking its best. Unfortunately that magic ingredient either doesn’t exist or I haven’t found it yet – but what also matters is how and when you use your haircare products. When you’re growing out your afro, you may have to spend some time browsing in hair stores and reading ingredients to find the best one that will suit your individual hair type. Here’s my list of five favourite black hair products – hopefully it’ll give you some pointers and give you a head start. A ‘head start’ – hah! 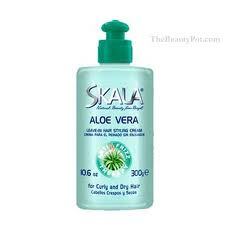 Skala Aloe Vera Leave-in Cream – I love this product. It’s lovely and light, and when I apply it I can really feel it saturating my hair, not staying on the surface like so many other products. Remember to seal in the moisture with oil afterwards. 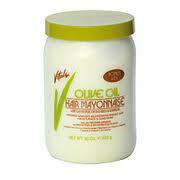 For deep conditioning once a week, I use Vitale Hair Mayonnaise. I use overnight with a heat cap to let it soak in. My hair just loves this treatment – afterwards, it feels soft with well defined curls. Definitely one of my must-have items! 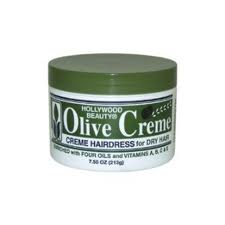 I don’t tend to clog my pores up with too many creams but if my scalp’s feeling dry and I need to give the roots a bit of TLC, I use Hollywood Beauty’s Olive Crème. It’s very light and soaks in nicely leaving my hair feeling well moisturised. I sometimes use before bed to treat my hair as it gives an instant boost of moisture. I wouldn’t be without this cream. After washing or co-washing (that’s washing with a conditioner, not a shampoo), I rinse my hair through with pure coconut oil in cool water to seal in the moisture. I also use it overnight when my hair’s feeling dry, rinsing in cool water again in the morning. It’s another must-have item for natural curlies. 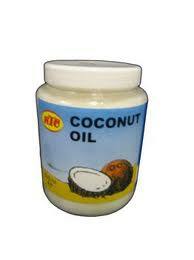 It’s a great all-round treatment that soaks into your hair and does its job from the inside out. You can get this from most supermarkets and it’s really cheap too! 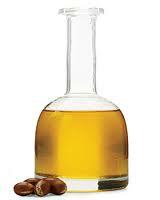 I often use Argan Oil to seal my hair after washing. Since I started using this, I’ve seen a real difference in my hair. Another great hair product that helps to seal in the goodness. So those are my favourite afro hair products at the moment. I’m always trying new things though, in search of some kind of miracle product that will give me the hair I’ve always dreamed of. I hope this has helped a little. Remember, you’re looking for products that contain lots of water because that’s what your hair needs the most. So when you’re buying products, check the ingredients to make sure that water is top of the list.